BC Tower (or BC Crossing) was the name given to the diamond crossing of the Buffalo Creek and New York Central railroads on the south side of Buffalo. Here the Buffalo Creek's main line from the docks to FW Tower and the junction with the Central just southwest of Buffalo Central Terminal crossed the Central's Lake Shore & Michigan Southern line from Cleveland and Chicago. 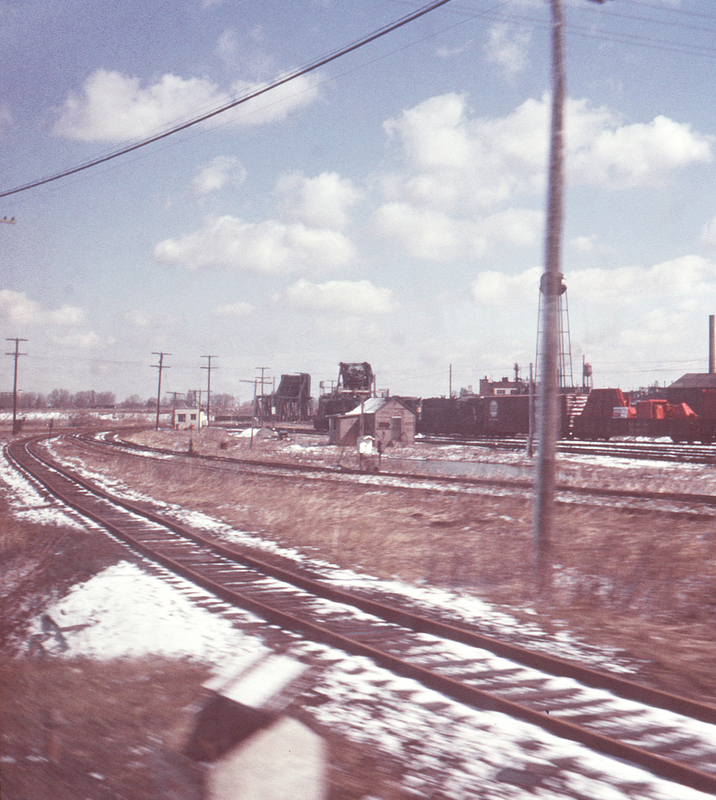 In this view looking northeast from one of the Penn Central's pre-Amtrak trains the Buffalo Creek has just been crossed at grade, with the Nickel Plate (now Norfolk & Western) and Pennsylvania shared trackage curving in from the far right; both lines cross the Buffalo River on the bridges in the distance.